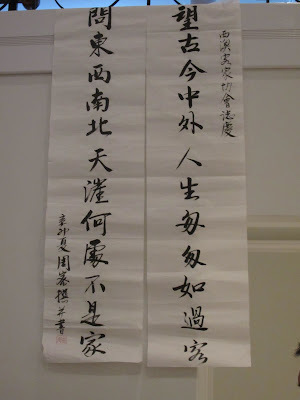 A Couplet (对联) was done and donated by a member to the Association on the occasion of the Mothers' Gathering at Alan & Lily's house on 14 May 2011. From the North to the South, from the East to the West, and to the edge of the world, whichever place can we not call home?" Hakkas 客家 are so called because we are guests at wherever place we chose to settle in, ever since our ancestors emigrated from the Central Plains 中原in China due to wars. We Hakkas who settle in Western Australia have now chosen to call this place home. 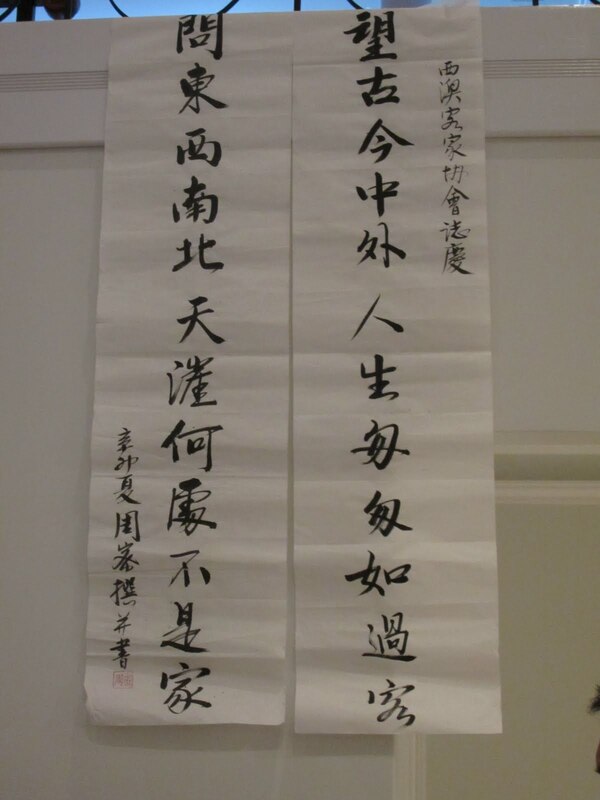 The last word of each of the 2 lines in the Couplet are the 2 words 客(Hak) and 家(Ka), Hakka.